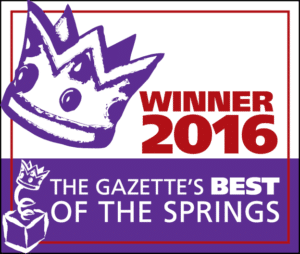 Best of the Springs 2016 Winner! Best of the Springs Winner 2016! Every year the Gazette takes in nominations from the best restaurant, nail salon, gym, etc. We were not only nominated for the best child care center- we were voted GOLD! It is so awesome to be able to show all the hard work of our YSA team members and the families that this family-run business is really here for the children and their families, and how we are striving each day to be the best example of quality child care in Colorado Springs! So again, THANK YOU SO MUCH to everyone who consistently supports us! We encourage you to go take a look and support the other businesses who’ve won! Check them out here: The Best of The Springs!